We probably all know what tapas are (if you don’t they are those little plates of food that come with your drink, popular all over Spain, particularly in Andalusia, and even more particularly in Seville, the “home of tapas”). But why are they called “tapas”, how did they originate and why have they become such an integral part of the lifestyle? The first of these questions is relatively simple. In Spanish a “tapa” is a lid or cover, and the story is that tavern keepers would give their customers a slice of bread or ham to cover their drinks to keep out the dust and the flies (fruit flies are partial to a bit of sweet wine or sherry). It’s also possible that something strongly flavoured, like cheese, could be used to disguise the taste of poor quality wine. This is also part of the answer to the second question, but not by any means the whole story. The most general reason probably goes back to Spain’s agricultural past. In the summer heat workers in the fields would start early, but the main meal of the day would be eaten just before the hottest part of the day, and was followed by the siesta, so to keep them going during the long mornings they would eat small snacks. This is also a tale of three kings (but not The Three Kings). It is said that when the 13th century king Alfonso X “The Wise” became gravely ill his recovery was aided by eating small quantities of food and drink throughout the day, instead of full meals, while Felipe III in the early 17th century decreed that tavern keepers had to serve food with their drinks as a measure to combat the problem of drunkenness, especially among off duty soldiers and sailors. Later Alfonso XII (or possibly Alfonso XIII, an indication that the story may be apocryphal) is claimed to have been visiting a tavern in Cádiz and was served his drink with a slice of ham to keep out the sand blowing in from the beach. When he ordered another drink he asked for it with “the cover”. 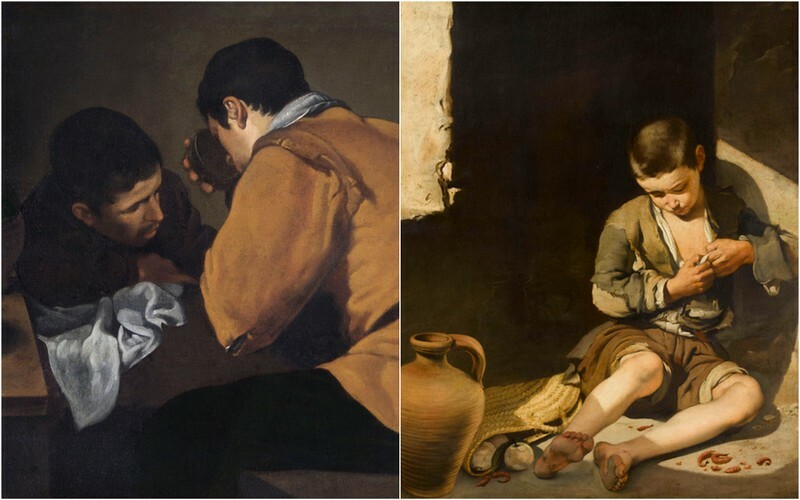 Over time the food that was served became more varied and more substantial, and going out for tapas became a common practice. 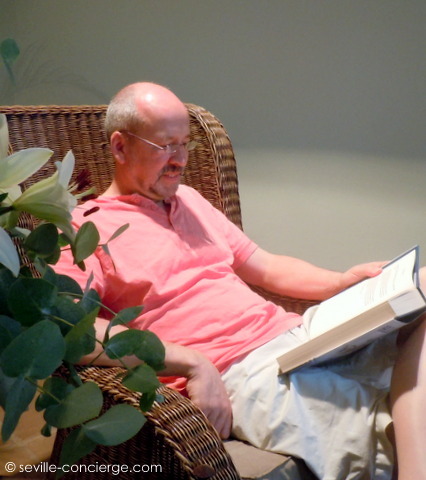 The activity is also a very social one, and families and groups of friends would share their tapas while socialising, making this a very convivial activity in a way that is unusual for a more formal meal. 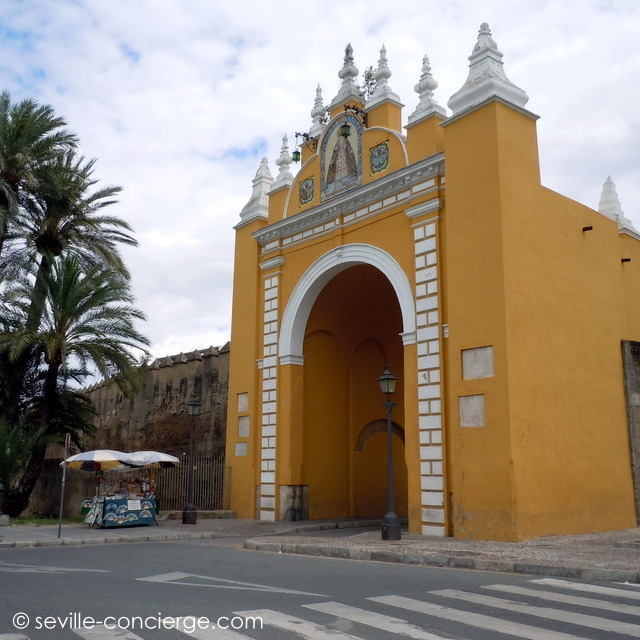 In exploring Seville, you will often come across the terms “The Old Centre” or “Casco Antiguo”, referring to the area inside the city walls, which generally ran just inside what is now the inner ring road. The first walls were built by the Carthaginians of wood and mud, but it was the Romans under Julius Caesar who built the first stone walls. These were several times destroyed and rebuilt, until work began in 1023 on those we see today. They were finally completed in the early 13th century, including a major westward extension in the 12th century to include the area around the new Grand Mosque (now the Cathedral). The wall was more than 6km long, with 13 gates, 6 postigos (small gates that were not considered as main entrances to the city) and 166 towers. Most of the walls were destroyed in the middle and late 19th century to allow for the expansion of the city. The two largest remaining sections of the wall that are still standing are those that separated the Alcázar Palace from the city, which you can see in the Plaza del Triunfo and Calle Agua (Water Street, so named for the pipes inside the wall that brought water from the Roman aqueduct into the Alcázar). The Gold and Silver towers, and the Tower of Abd-al-Aziz can also be seen in this southern part of the city. In the north of the city is the longest surviving piece, between the Macarena Gate (rebuilt in the 18th century), and the Córdoba Gate. This is the best place to see how the walls might have looked to anyone approaching the city. Also still surviving are the Postigo del Aceite, and the walls around the Jardines del Valle, near the Puerte del Osario, as well as a number of fragments where the walls were incorporated into various buildings around the city. Some of these were only discovered when the buildings were renovated. The names of many of the gates still survive, however, such as the Puerta Arenal, Puerta Carmona and Puerta de la Carne. Perhaps the most poignant, however, is the short section of wall that you can still see in Calle Fabiola. It’s all that’s left of the internal wall that separated the old Jewish quarter from the rest of the city. Lots of people on their way to Seville or Granada arrive in Spain through Malaga airport. The city has something of a reputation as one of those coastal resorts full of high-rise hotels that grew up during the tourist boom of the sixties and seventies, but although there is an element of truth in this, especially along the coast to the west of the city, the heart of Málaga is quite a different animal, and if you’re passing through it’s well worth taking a day to take a look around. For a start, this is a city full of history. Apart from the native Iberians, the Phoenicians were the first colonisers in around 770 BC, followed by the Carthaginians, Romans, Vizigoths, Byzantines, Moors, and finally, in 1487, the Christians. 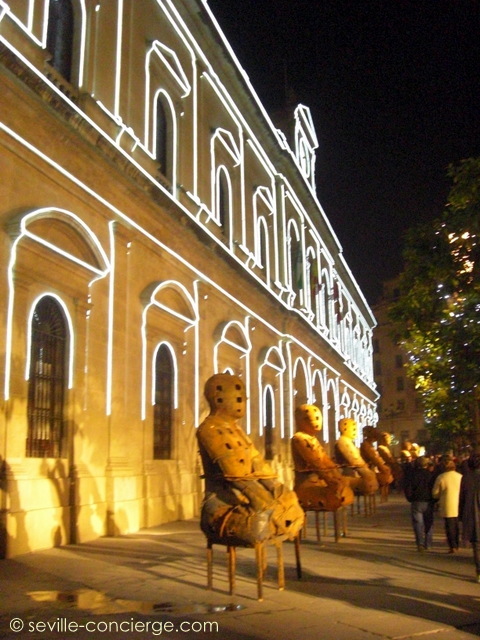 All these successive peoples, and the fact that Málaga is a port city, have left their mark on the appearance and culture of the city, and helped to make it the vibrant place it is today. Secondly, it’s beautiful. Sandwiched between the mountains and the Mediterranean Sea, with an old centre that mixes the elegant and the picturesque, a castle perched on a hill, and a seafront garden promenade, it has something for everyone. For an overview (literally), start the day with a coffee or beer on the terrace of the Parador Hotel on the hill above the bullring, and enjoy the stunning panorama of the city before the sun gets too high. It’s the stuff of which picture postcards are made. 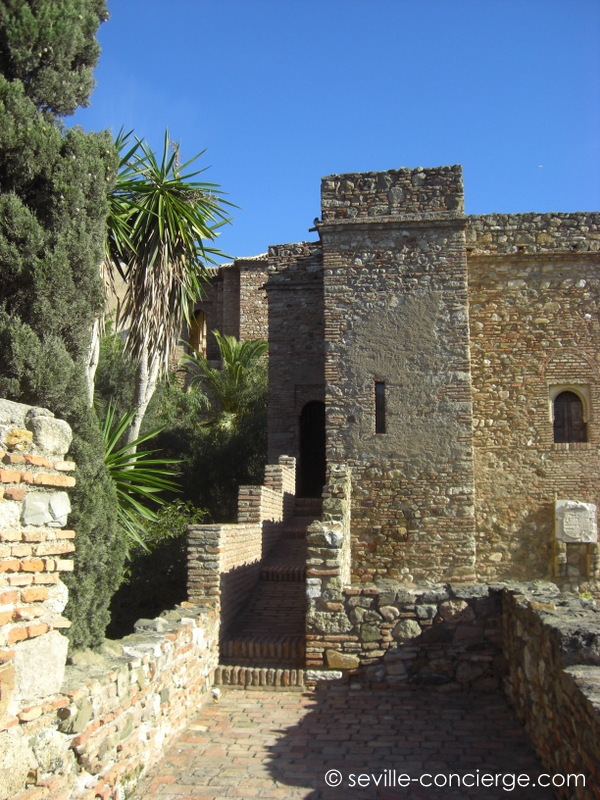 Tip – take the number 35 bus up from Parque Málaga to the Gibralfaro Castle (also worth a visit), but walk back down the steep hillside path to the Alcazaba, the 11th century Moorish palace-fortress, which while much smaller than the Alhambra, achieves the same combination of luxurious dwelling, peaceful garden and working fortress. After that, get out and about in the old town. It’s small enough that you can’t get really lost, but it still has the labyrinthine charm that you expect. The Aduana Palace (the old Customs House), containing both the Fine Arts Museum and the Archaeological Museum, the Cathedral, and the Roman Theatre are all within five minutes walk of the Alcazaba. 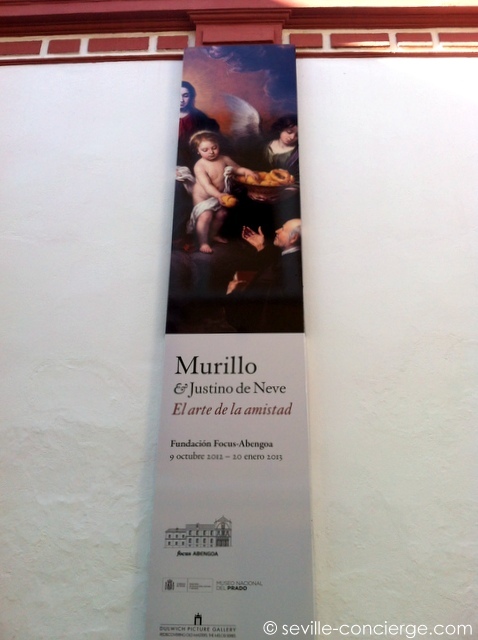 A bit further on is the museum of Málaga’s favourite son, Pablo Picasso (Antonio Banderas is a close second), housed in the delightful Buenavista Palace, where you can also find the 7th century BC Phoenician wall that is the oldest known structure in the city. The house where Picasso was born can be found in the Plaza la Merced, at the end of the city’s “main drag”. 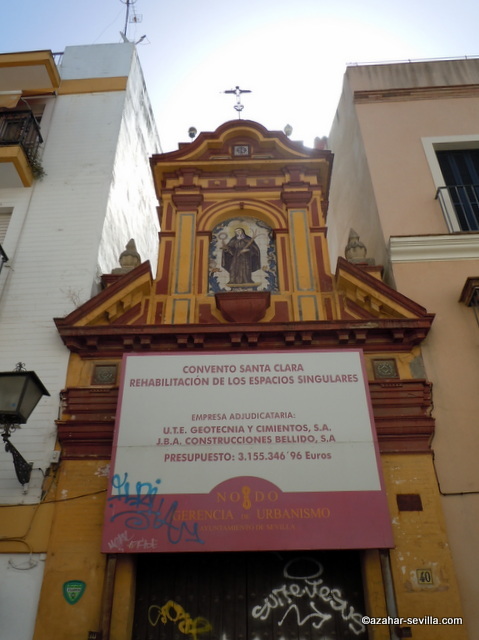 This starts with Calle Granada, which still follows its original serpentine mediaeval course. Near the northern end is the church of Santiago, dating back to just after the Christian conquest, which is a fine example of the Mudejar style of the time, and the southern end is in the Plaza de la Constitución, which has been the city’s main public space and political centre since the 15th century. 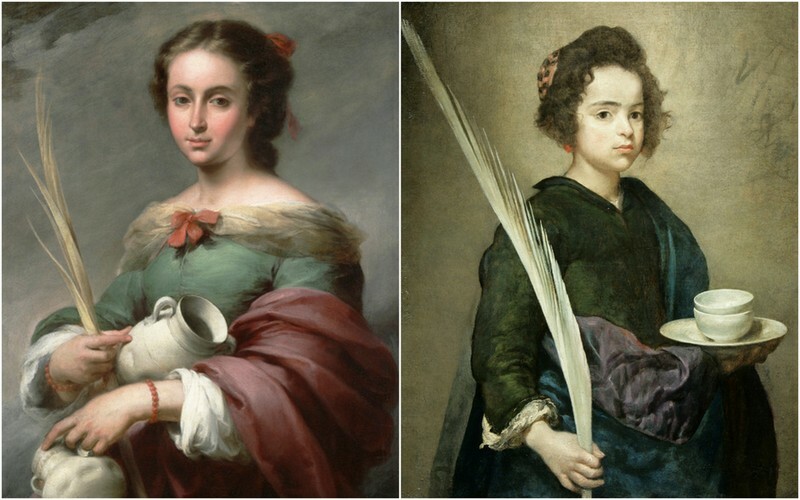 For art lovers the Thyssen Museum can be found a little way along Calle de la Compañia, one of the streets leading out of the west side of the square. Beyond the square is Calle Larios, which is quite different in character to Calle Granada. 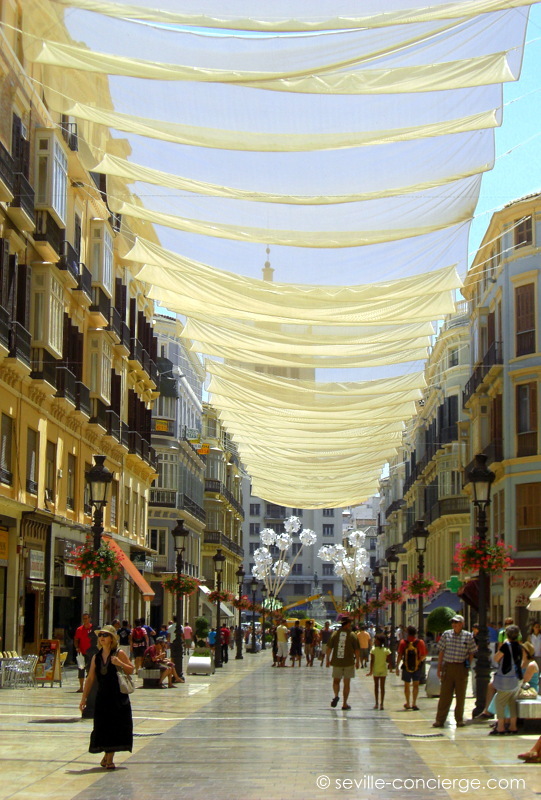 It’s Málaga’s main shopping street (now fully pedestrianized), and was built in the late 19th century by cutting a wide swathe through the existing street layout from La Constitución down to the harbour. I think its one of the most elegant streets I know of anywhere. From the bottom of Larios it’s well worth making a diversion to the recently renovated Atarazanas Market, and taking a stroll among the stalls laden with fresh fruit and vegetables, fish and meat. Take a moment, too, to admire the big stained-glass window at the end of the market hall, with its montage of scenes of the city. The name Atarazanas means shipyard, and in Moorish times the sea came right up to the walls of the building. No visit to Málaga would be complete without taking a stroll along the promenade of Parque Málaga alongside the harbour, as Malaguenos have been doing for over a hundred years, enjoying the cool shade of the trees and the profusion of subtropical and exotic plants, fountains and statues, that always feels like a haven of tranquility despite the nearby main roads. This part of the harbour has recently been redeveloped with a marina, shops, bars and a small maritime museum. About a half-hour walk eastwards along the beach from the Alcazaba, past the delapidated splendour of the Balnearios del Carmen, is the former fishing district of Pedregalejo. As well as a picturesque boardwalk between the beach and the fishermen’s cottages there are some fabulous fish restaurants that barbecue fish on open fires. My personal favourite is Andrés Maricuchi. A similar distance out of the centre, but in the opposite direction, is the Automotive Museum, and you don’t need to be a vintage car enthusiast to enjoy this collection of immaculately preserved vehicles that spans the whole of the twentieth century. One of the things that I love about Seville is that no matter how much I learn there always seems to be something new to discover about the people and places that make the city what it is. A few years ago I passed an art exhibition in the Plaza Nueva, which included a slightly abstract model of a longboat. At the time I didn’t realise its significance, which is why the boat itself isn’t in this photo, but it turns out that in the 9th century the Vikings twice raided Seville, in 844 when they sacked the city, and again in 859. One legacy of these raids was a Viking longship that was found in the Plaza Nueva during the digging of a test shaft in connection with the new metro. The 844 raid involved some fierce fighting, and it may have been left behind for lack of sufficient crew. At first sight the Plaza Nueva may seem an odd place for a longship to end up, but we know that at this time there was a side branch of the Guadalquivir River that ran from what is now the Alameda, past Campana, along Sierpes, across the end of Plaza Nueva, and into the main river between the Torre del Oro and the Triana Bridge (none of these existed then, of course), and that this was outside the city walls as they were then, and it’s quite logical that the boats would have been beached there. I’ve often wondered what happened to the boat they found. One of the recurring themes of my interest in Seville is the visual imagination of how the city has changed over the centuries. Because Seville has such a well-preserved centre, with many buildings of great antiquity, it is easy to forget that it didn’t always look the way it does now. Even a bit. Stand, if you will, at the end of the Avenida de la Constitución, with the Plaza San Francisco on your right, and the Plaza Nueva in front of you, and imagine the scene a thousand years ago. The first thing you notice is that the city walls are behind you, and that there is a small lake in front of you, fed by a branch of the main river running down what is now Calle Sierpes and on into the Arenal. Down to the river is just fields and trees, subject to surprisingly frequent floods. Not for another 150 years will the walls be extended to where we think of them today, much nearer the river. In the space inside the walls behind us, the new Grand Mosque and its minaret, which will later become the Giralda Tower, appear. After the reconquest of 1248, it will be replaced in turn by the Christian cathedral. There are other changes going on too. Houses have been built to your left, and the lake has been drained. In its place monks have started work on what will become the “Casa Grande” of the Franciscans, which will soon give its name to the open space in front of it – the Plaza San Francisco. The monastery itself will come to occupy the whole of what is now Plaza Nueva and the streets beyond and to either side. 1492, and Columbus has discovered America. 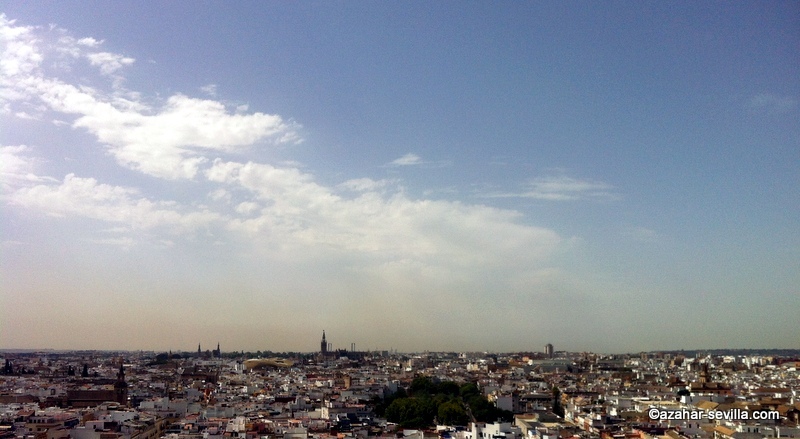 With a monopoly on trade with the new world, Seville is rapidly becoming rich. As symbols of its wealth the city acquires a new civic centre around the Plaza San Francisco. 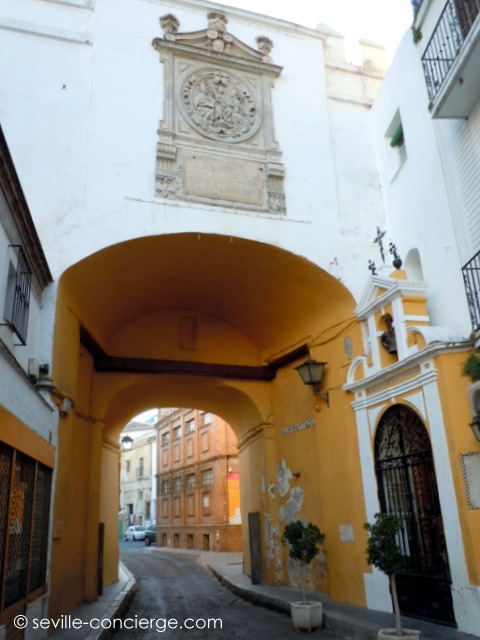 A new town hall (ayuntamiento) is built in front of the Casa Grande (the archway on the end of the town hall is the original main entrance to the monastery), followed a few decades later by the Antigua Audiencia (the justice house, now the Cajasol bank building). If you’re unlucky you may see the autos de fé of the inquisition during this and the following century. The Casa Grande, badly damaged by a fire and general neglect in the Napoleonic era, is finally demolished in the 1840s, the resulting space becomes the Plaza Nueva, and the town hall is given a new facade. But even now there are big changes to come. What is now the Avenida de la Constitución, is still a typical narrow Seville street, but in the early years of the twentieth century it is widened into the modern wide, straight street we see today, familiar buildings like the circular “wedding cake buiding”, the Adriatico, and the Banco de España are built and the first cars and trams appear. Finally, just a few years ago the whole area was pedestrianised and repaved, and the new tramway installed, resulting in the cityscape we see today. With the unusual luxury of an otherwise free morning the other day, I had the opportunity to take some time out to do one of my favourite things – exploring some of the more unusual and out of the way parts of Seville. First port of call was the Espacio Santa Clara, the arts and culture centre that opened last year in the former convent of the same name after some six years of restoration work. That work is still ongoing, but sadly, only slowly, due to lack of funds. I’ve been fascinated by this building for a long time, as I pass the narrow, closed gate in Calle Santa Clara on a regular basis without being able to see inside. 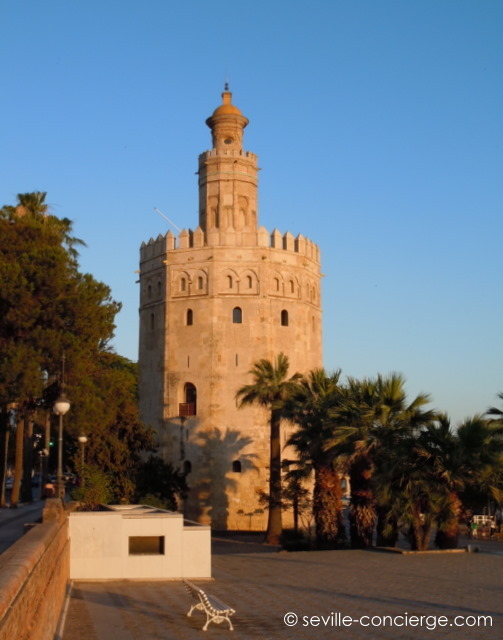 One thing I did know was inside was the first of my two towers, La Torre de Don Fadrique. It’s built in three stages in a style called Romano-Gothic, and surprisingly is the only example still standing. According to popular legend it was built about 1255 by the infante Frederick, brother of King Alfonso X, as a love-nest for his mistress, La Doña Juana, who was also his stepmother, the second wife of the previous king, Ferdinand III. The illicit romance was so unpopular that after three years Juana abandoned Seville and returned to France, with Frederick waving his last goodbye from the top of the tower as she set sail. My sources differ as to how much, if any, of this story is actually true. What is certain is that not long afterwards Frederick was executed by his brother, either for the offence against public decency, or, more likely, for treason against the crown. Either way Frederick’s land around the tower was confiscated, and in 1289 was used for the founding of a Franciscan convent. The current building dates to the 16th and 17th centuries, and the grounds were once much more extensive, the peripheries being sold off to pay maintenance and running costs until the convent finally closed in the mid-20th century. Unfortunately, when we arrived there was a notice on the door saying it was closed until the beginning of September, although on asking the man at the front desk it turned out this just meant that there were no exhibitions showing at the moment, and it was still possible to go into the central patio/cloister and the refectory. 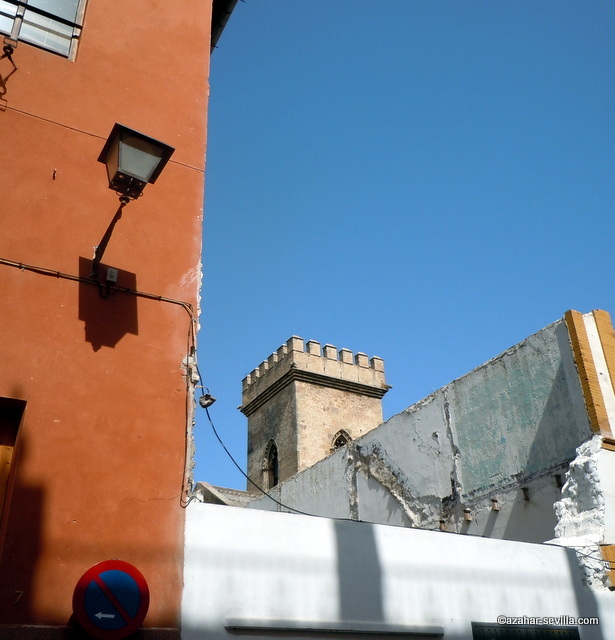 Although much of the rest of the building is still derelict, and it’s not possible to go into the orchard patio where the tower is, this area has been lovingly restored, and in September will be the venue for several concerts as part of the Biennal de Flamenco. From Santa Clara we went to another tower with an interesting, but much shorter, history – La Torre de los Perdigones (The buckshot tower). This was built in the late 19th century as part of a munitions factory (closed in the fifties, and turned into a pretty little park a couple of decades later) and was used for making lead shotgun pellets. The lead was melted in a furnace at the top of the tower and dropped down the centre into a cooling lagoon to solidify them. We went up to the viewing platform just below the top to enjoy the wonderful views over the Cartuja and Macarena from a novel perspective. Although the narrowness of the platform at that height did give me a touch of vertigo, it was still a great experience, and goes to show that there’s more to Seville than just the Cathedral and the Alcázar.